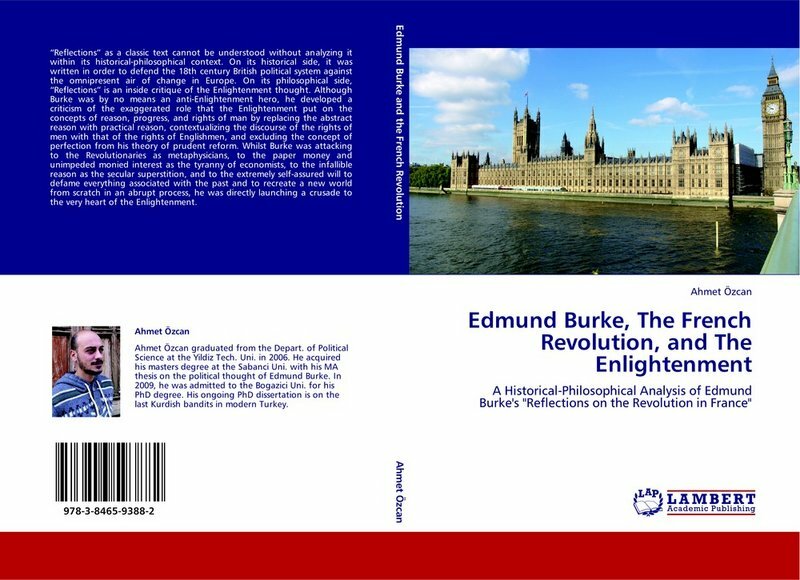 Edmund Burke’s “Reflections on the Revolution in France” as a classic text cannot be understood without analysing the interaction between the text and its historical-philosophical context. On its historical side, “Reflections” was written in order to defend the 18th century British political system against the omnipresent air of change in Europe as being prudently progressive, aristocratic, and post feudal. On its philosophical side, “Reflections” is an inside critique of the Enlightenment thought. Although Burke was by no means an anti – Enlightenment hero, he developed a theoretical criticism of the exaggerated role that the Enlightenment put on the concepts of reason, progress, and rights of man by replacing the “abstract reason” with his “practical reason”, contextualizing the discourse of the “rights of men” with his discourse of the “rights of Englishmen”, and integrating the concept of progress into, and excluding the concept of perfection from, his theory of prudent reform. Whilst Burke was attacking to the Revolutionary men of letters as metaphysicians, to the paper money and unimpeded monied interest as the tyranny of economists and calculators, to the sacred and infallible reason as the secular superstition, and to the extremely self-assured will to defame everything associated with the past and to recreate a new world from scratch in an abrupt process, he was directly launching a crusade to the very heart of the Enlightenment thought itself. Citation: Özcan, Ahmet (2012). Edmund Burke, the French Revolution and the Enlightenment: A Historical-Philosophical Analysis of Edmund Burke’s “Reflections on the Revolution in France”, LAP LAMBERT Academic Publishing.